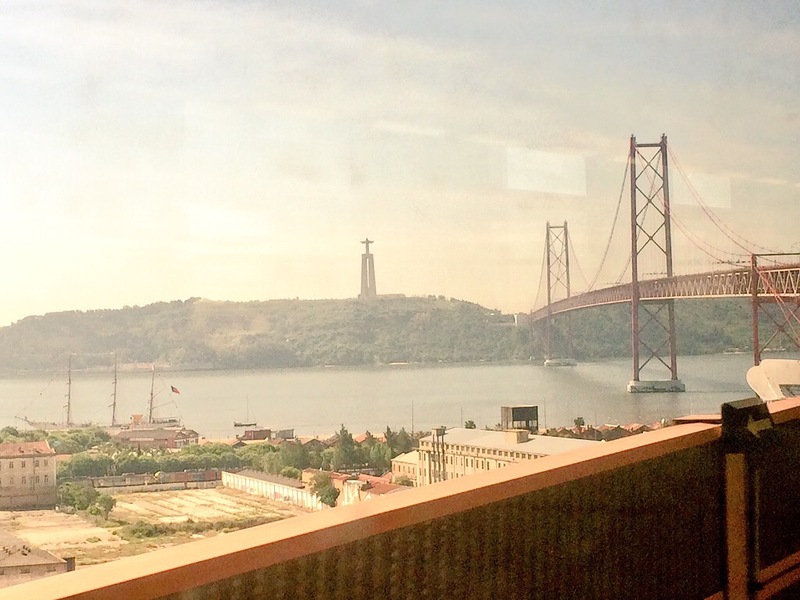 In Lisbon, I jumped in a cab and asked, in Portuguese if the driver spoke English. I’d only learned how to say that phrase, along with obigrado. A few minutes later, I was standing in front of an apartment I’d found on Airbnb. My host, a young, dark haired guy with a handsome smile, was waiting for me despite the fact that it was nearly midnight. 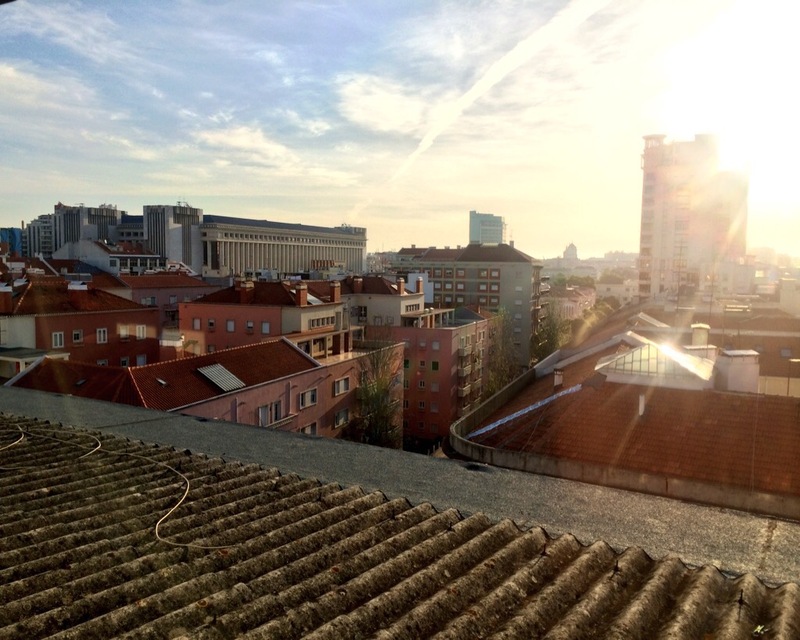 He welcomed me to Lisbon, carried my bag up the stairs and gave me a tour of the apartment. He made arrangements for me to have a cab waiting in the morning to take me to the train station. He’d already picked up snacks and breakfast for me — yogurt, toast, jelly and juice — as well as several bottles of spring water. 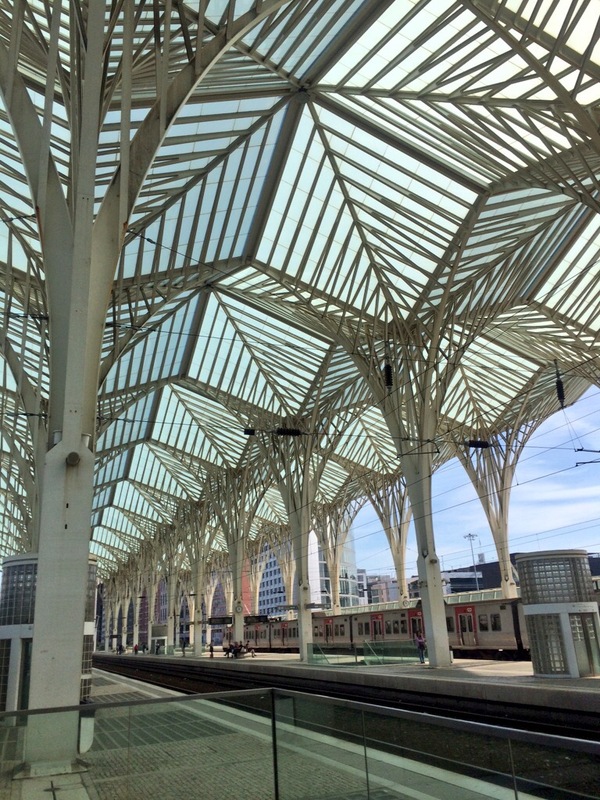 Lisbon Oriente is a gorgeous train station. 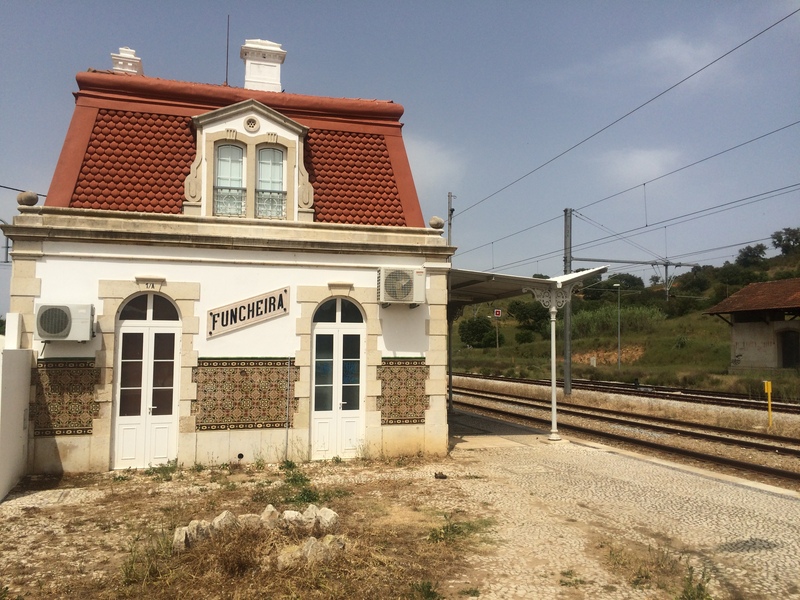 The ride to Funcheira, a station about two hours south of Lisbon, would take me past a bridge that looked exactly like San Francisco’s Golden Gate, a statue of Jesus that looked exactly like the one Rio, past colorful homes, graffiti, shanty towns and through the ruggedly beautiful countryside of a nation I’d never seen before. We passed trees that looked like broccoli. I snapped pictures every few minutes. I could not believe what I was doing. It felt like something out of a storybook — this adventure, in this foreign place. 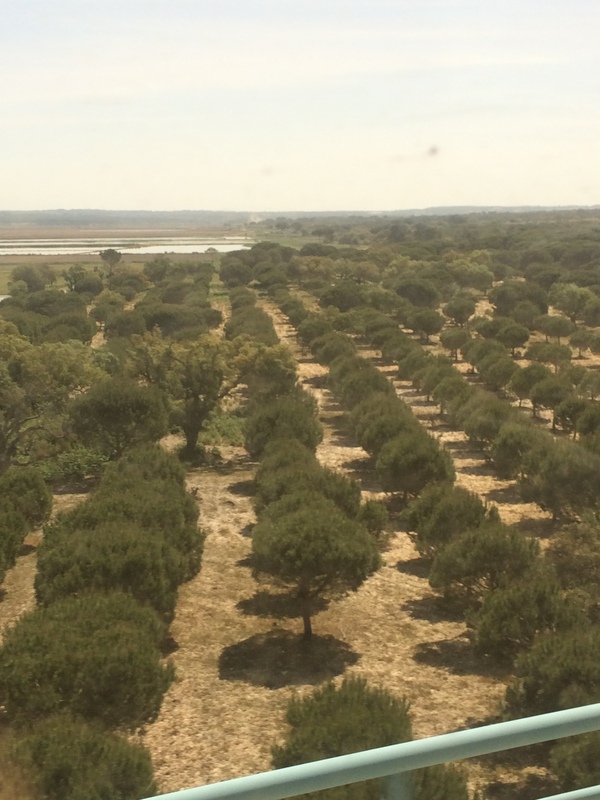 But I did not feel like a tourist, for I was not in Portugal to merely gawk at Portugal. I was there for satsang. I saw that we’d reached Funcheira later than I would have if I’d been paying closer attention. Breathless, I grabbed my bags as the doors were about to close again, not realizing that I’d left my not-cheap sunglasses in my seat. I mention the sunglasses, not because I grieved their loss (well, I did, a little), but because a funny thing would happen two days later at the sangha involving a whole lot of sunglasses. looking forward to reading part 2 of your Portuguese adventures – and thanks for introducing Mooji to me. I had never heard of him before. I am interested in writing to Mooji as well, but I don’t know how. Can you help me? Yes it is a fabulous blog. Did you get a chance to visit Portugal yet? I would so love to go. But it isn’t really in the budget right now. So I just listen to Mooji on youtube every day. Part of me wants to go. So I can possibly meet more awake people. Being awake gets lonely at times. Well. It does but it doesn,t. Its hard to explain. At times when I listening to satsang. And I just start crying tears of joy. It is then I just wish I could meet Mooji. Just to thank him. And show my love and gratitude. But I know it doesnt matter. I am him, and he is me. Please where is part two? Is there a link to part 2? 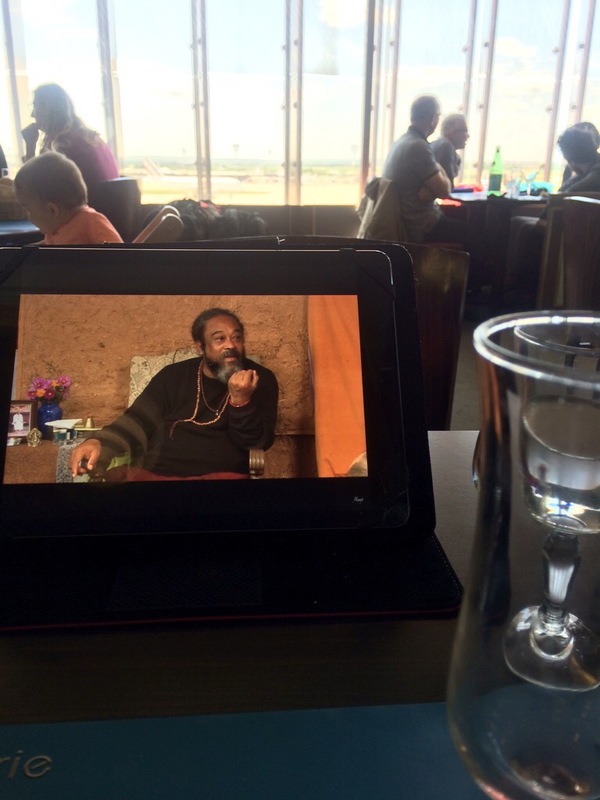 Amazing – thank you for writing the blog about your visit to see Mooji. I couldn’t find part 2. I am excited because I wondered if one can arrange to go and stay in Portugal with Mooji for a couple of days instead of doing a full week of silent retreat? I find travelling terrifying and due to circumstances, difficult to be away for more than a couple of days. Would you be able to let me know how you contacted Mooji? Is there an email address? Great text! Congrats! Looking forward for part 2! I have met Mooji in Lisbon for 2 Satsangs last week. Felt blessed by his presence and wisdom. And planning to visit Monte Sahaja one day soon! Thank you ! I am hoping to go to Portugal this September. The more information I can find on the ‘getting there’ part of the journey, the better. You write beautifully and I have been through Orly many times. I ALWAYS take a sleeping bag and roll out mat, tiny cushion. I make a nest in a corner/under stairs and sleep those long hours away. It really helps with Jetlag.